Welcome to Field of View, your Friday roundup of all the happenings in the world of virtual, mixed and augmented realities. This week, we learned that Google Glass Enterprise Edition has gotten much easier to purchase thanks to Google's work partners. But that's not all. We also learned about Neurable, a company that makes HTC Vive add-ons to let you control virtual reality with your mind. They look very Spielbergian, which should get you excited for next year's Ready Player One. Anyway, there was more that happened this week. Let's go through it, shall we? You already know that booking a vacation is a grind. It's a lot of research, planning and looking through photos and videos to best imagine how your stay could be. Turns out VR is helping people out a ton with that. According to new research from Tourism Australia, one in five consumers have used VR to choose a vacation destination. Overall, 25% plan to use VR in the future to help them make their decisions. The numbers come from a survey of 500 consumers in each Australia, the US and UK. Specifically, travelers liked the preview of the destination and experiences, helping them manage their expectations. There's nothing worse than getting super excited for a vacation because of Photoshopped pics and then actually getting there and seeing it's not what you wanted. Of course, travel companies have taken to VR like a moth to a flame. 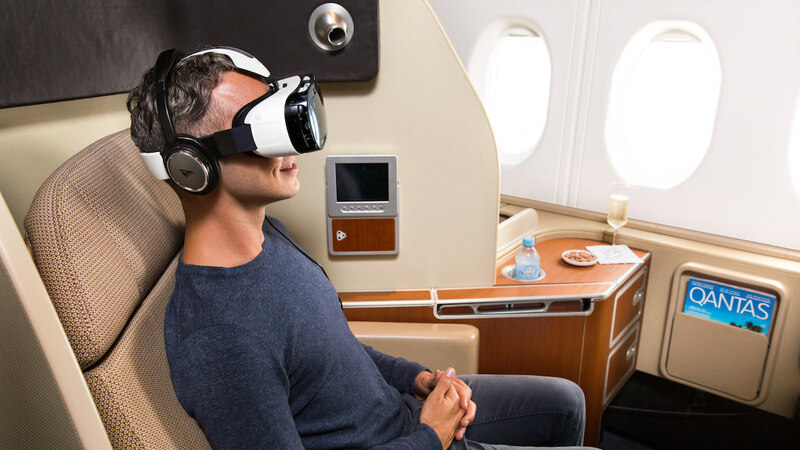 Qantas, for example, launched a VR app that let users preview many Australian destinations, while Cruiseabout partnered with Samsung to preview cruises around the world. Oculus rolled out the 1.17 update to the Rift this week and the changes are sure to make fans happy. The biggest new addition is party chat, allowing you and three friends to chat away across Rift apps to your heart's desire. There's also better Steam support, so launching an app or game you bought from the Steam store becomes much easier, as you can launch is straight from the Oculus software and don't have to change programs. Finally, there are Mixed Reality Game Capture optimizations and bug fixes. As VR headsets get more affordable and more mainstream, they're going to need a whole bunch of great content to get people to keep putting them on. Here Be Dragons is one of those studios, and it just received a $10 million investment from Discovery Communications, who is no stranger to VR content. Here Be Dragons already has content partnerships with the likes of Samsung, Nike, The New York Times and GE, and the money will reportedly head to beefing up the studio and improving its creative development. That means better, and possibly more, content for you. One way to make VR content more easily accessible while also incentivizing developers is to do web-based VR content. Enter WebVR, an API actually developed by a Mozilla engineer. However, while Microsoft's Edge browser and Google Chrome support WebVR, Firefox did not. Until now, as the latest version of Firefox has support built in. Hooray. Back in July, Duran Duran recorded two performances in Oakland, CA with 360-degree cameras. To celebrate Duran Duran Appreciation Day this year, the band decided to release them both on YouTube for your virtual reality-loving appreciation. You can watch "Hungry Like A Wolf" above, and then watch the other performance, "Paper Gods" on the band's YouTube channel. Rez Infinite is currently one of the best reasons to own a PlayStation VR, which is incredible since it was an old game remastered for VR - but it just so happened to be a perfect fit. That exclusivity is all gone now, and the game is now available for both Oculus Rift and HTC Vive.